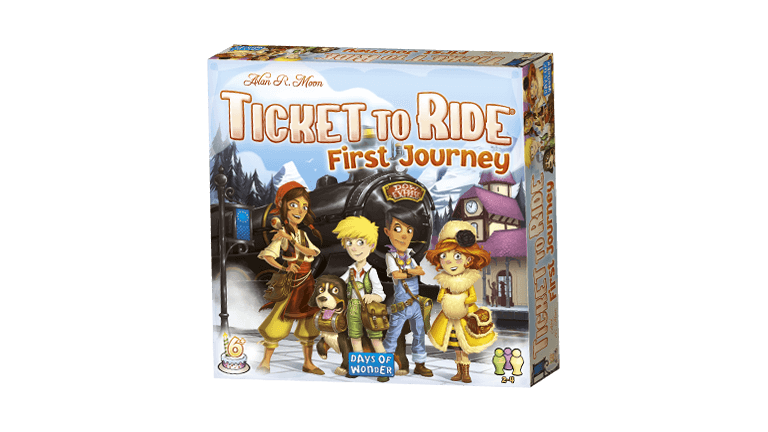 Ticket to Ride: First Journey is the childrens’ version of the popular Ticket to Ride game. The core of the game is the same: you need to complete tickets, connect routes, and create the longest route. The first player to complete six tickets in the game wins. 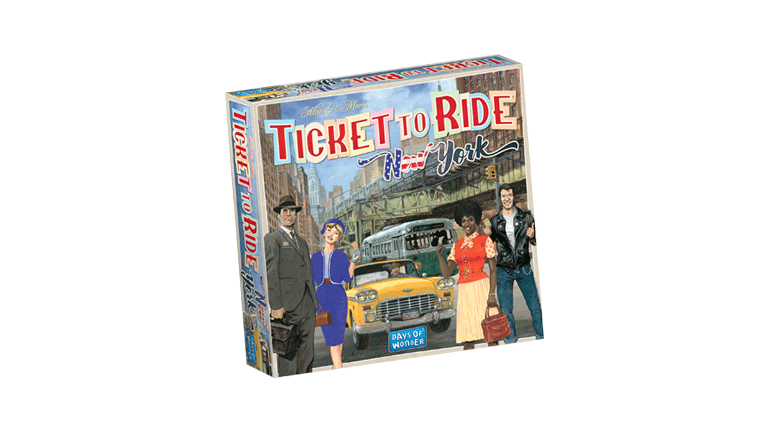 This version of the game features simplified rules, that allow the youngest to join in the fun and the game components are slightly larger, so they are easier to hold. As an added feature, the winner of the game gets to hold a golden ticket. 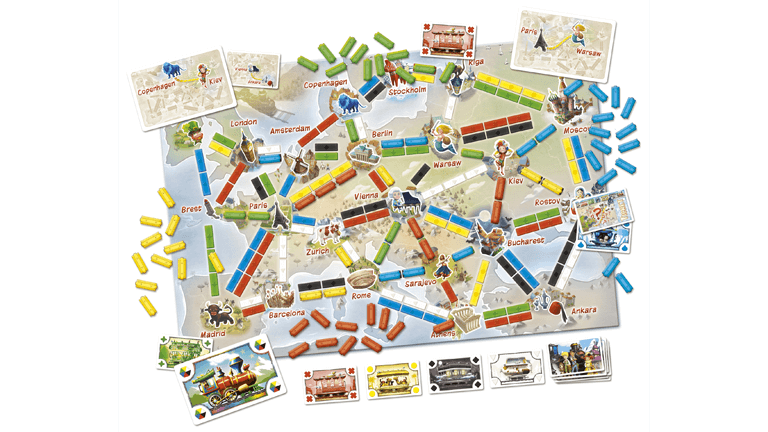 Ticket to Ride: First Journey is a very charming game with artwork that sparks the imagination and a play-experience that is fast and fun. Collect cards of different colors, use them to claim railway routes with your trains, and complete your Tickets to achieve victory! 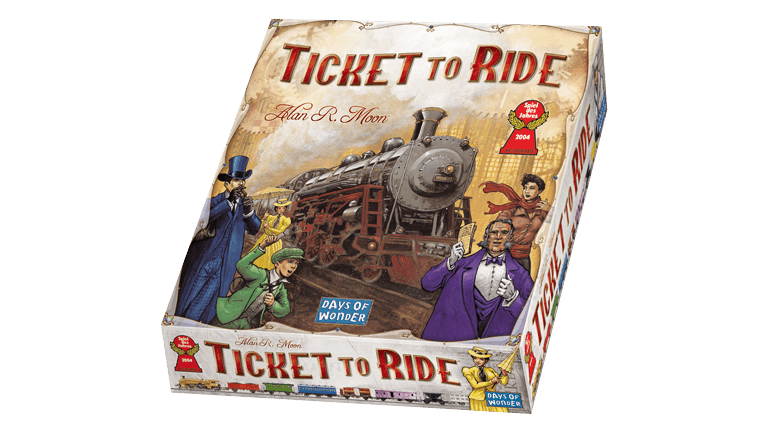 Easy to learn and fast to play, Ticket to Ride: First Journey is the perfect introduc-tion to the Ticket to Ride game series. 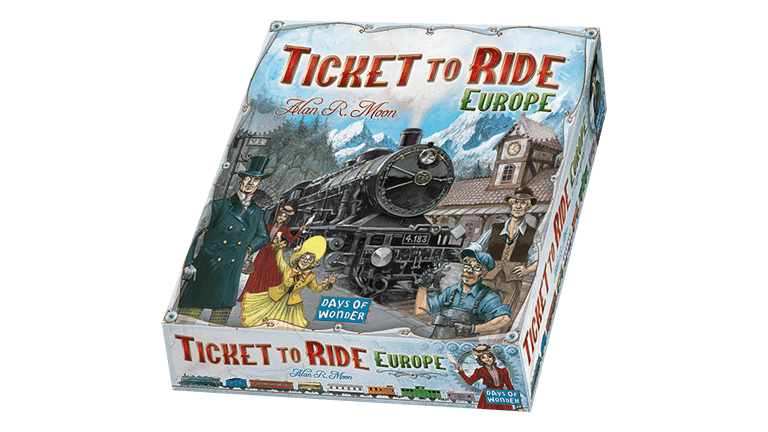 So climb aboard, and discover a wonderful railroad adventure throughout Europe!